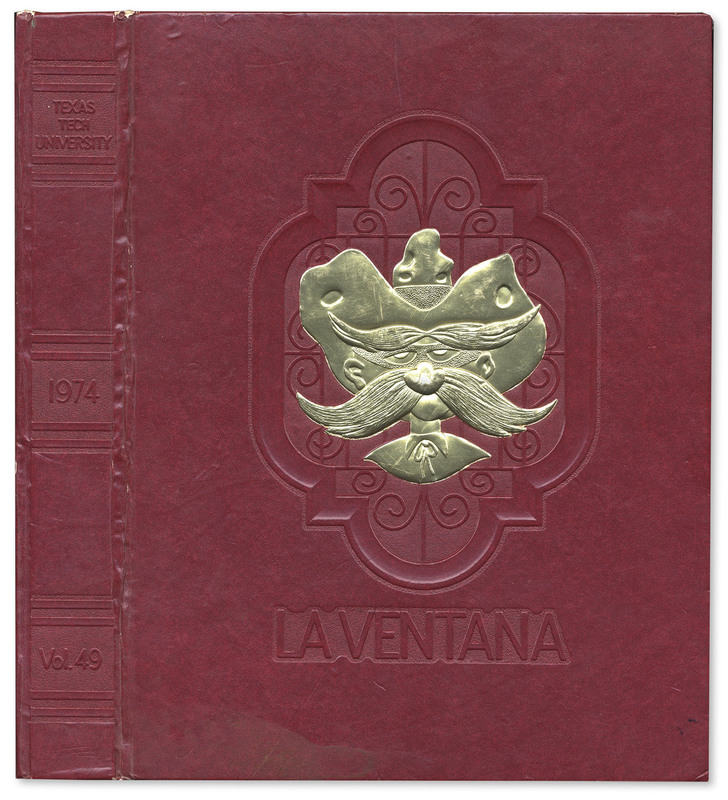 1974 Texas Tech University yearbook featuring freshman John Hinckley, Jr., seven years before his 30 March 1981 attempt to assassinate President Reagan. 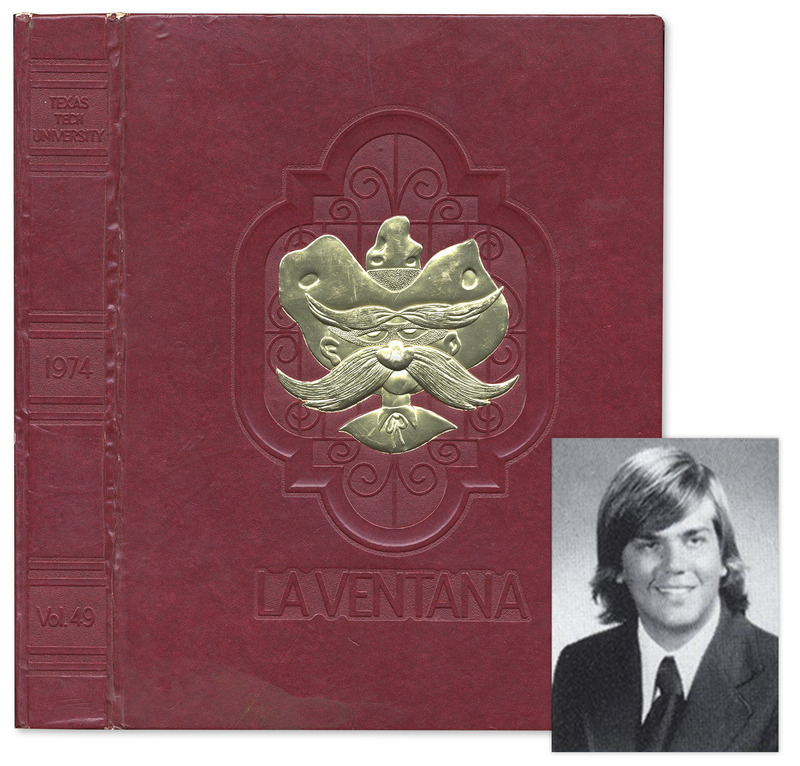 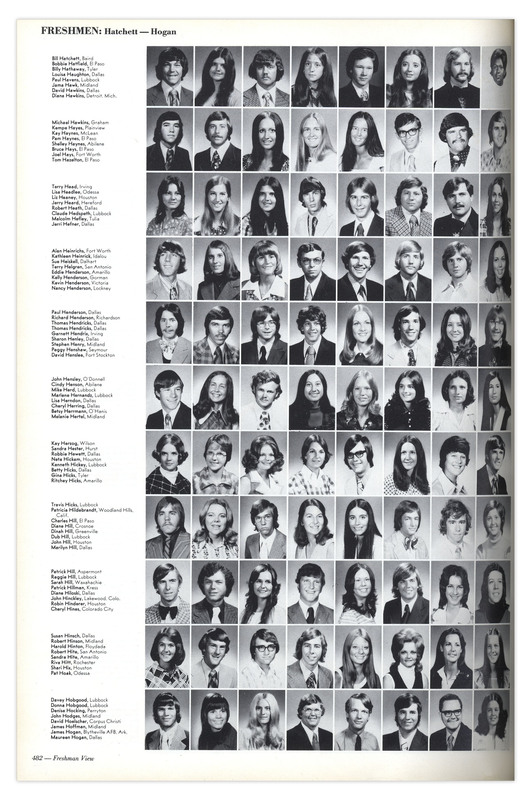 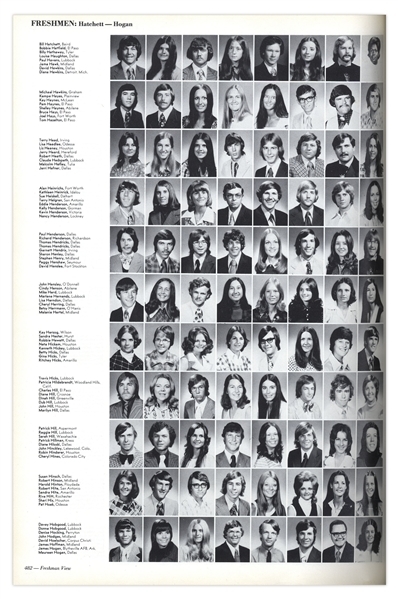 Photo of a smiling, long-haired Hinckley, in suit and tie, is identified as ''John Hinckley, Lakewood, Colo.'' on page 482 in the ''Freshmen'' section. Burgundy yearbook is in near condition with former owners name written on front pastedown.